Before buyers even come to see your home, they get their first impressions from the listing photos. Making small changes to the home’s interior can help bring about a more clean and cohesive look. Consider having your home professionally cleaned before the photos are taken. Get rid of faded curtains and/or broken blinds for an instant refresher that won’t break the bank. Replace dated fixtures and appliances to provide a more updated look to the house. Potential buyers can be easily turned off by small details. Some buyers may even assume that since the little things around the home weren't taken care of, then it's likely there are issues with some of the bigger items such as the roof, HVAC system and plumbing. According to Remodeling Magazine, you're less likely to recoup your investment in a full kitchen remodel than you are on basic home maintenance such as new siding. That said, homes with updated kitchens typically sell faster and for more money than comparable homes that do not have updated kitchens. If you do opt to remodel, whether you plan to sell your home or not, make sure the style and finishes you select match the rest of the home. Again, keeping the overall look somewhat neutral can help command a higher price at the time of the sale. HGTV points out that, “What you'll get back on your investment depends on the value of your house, the value of houses in your immediate neighborhood, the housing market where you live, how soon you sell after making improvements, and the quality of the project itself. Installing a $10,000 stove in a $200,000 house, for example, ‘just doesn't compute.’” Before making the decision to any major home improvement, carefully consider whether it’s a necessity. Is it something that will actually increase the value and overall desirability of your home? Don't go overboard!! In today's market, especially in the Knoxville area, buyers will pay a much higher price, even over the list price in some cases, to purchase a home that is updated and considered move-in ready. We strongly recommend discussing any potential improvements or home staging ideas with your real estate agent before making any final decisions. 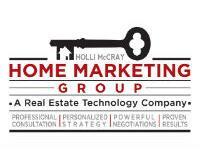 The Holli McCray Group listing team is always available to answer any questions you may have about what improvements to make to help sell your house. Contact us today!